Amazon is giving Prime subscribers one more reason to stick with the $99 per year service, in the form of unlimited photo storage. The benefit was previously limited to Fire Phone users, but Amazon is now expanding it to all Prime subscribers. Users can upload full-resolution photos from a PC or desktop web browser, or have them upload automatically from iOS and Android devices. Amazon is also working on a native app for Macs. Users without a Prime subscription are limited to just 5 GB of storage. Larger storage plans are available starting at 20 GB for $10 per year, but as TechCrunch reports, the unlimited photo option will only be available to Prime customers. Other benefits of Prime include two-day shipping on many items, a selection of streaming video and music, and an e-book rental program on Amazon devices. 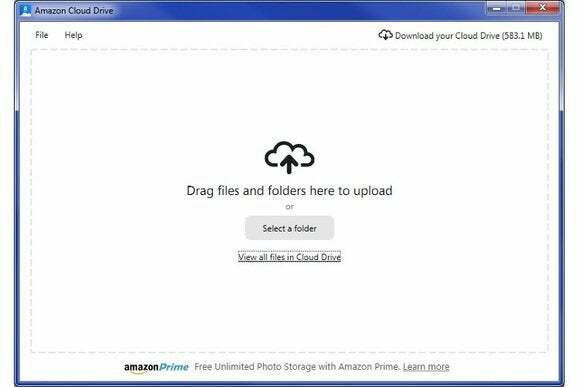 If you go the Amazon route for photo storage, keep in mind that its Windows app doesn't fully integrate with File Explorer like other apps such as Dropbox, OneDrive, and Google Drive. You can drag-and-drop files into the app, but there's no way to drag entire folders or groups of files back out to local storage. At best, you can use the “Download your Cloud Drive” button to pull everything down from the cloud at once. Still, for Prime subscribers, the new feature is worth taking advantage of. The more redundant backups you have, the less likely you'll lose your precious memories in the event of a fried hard drive or cloud catastrophe. The story behind the story: Amazon is now the second major tech company to tie unlimited storage to one of its other subscription services. Last week, Microsoft announced unlimited OneDrive storage for Office 365 subscribers, with plans to roll it out over the next several months. It's another sign that cloud storage providers can't win on price per gigabyte alone; they'll need to start tying on killer apps and services to make that storage indispensable.